Oak City Skate Shop opened their doors a little over 6 years on September 1st, 2012. Oak City is the brainchild of 30-year-old Raleigh, North Carlonia native Long Tonthat. For the past 22-years Long has had skates strapped to his feet, beginning at the skating rink and then graduating to aggressive skating when he turned 14-yeards-old. That is when his love of blading took hold of him and he has never looked back since. How did Oak City start? My girlfriend (now wife) and I were working high-pressure sales jobs and even though I was financially stable, I just wasn’t happy. I had minor success in selling items that I had no interest in. I had developed strong personal skills and had come from a family of small business owners. Skating has always been strong in North Carolina and I felt like it was something the state needed. So we started to save and make plans to open a skate shop. Did you start selling online before opening a storefront? 2012 was a much different time in skating, I was required to have a physical building before any vendor would speak to me. A lot of the obstacles that came with starting the shop were with getting the building. Since then I’ve noticed that companies have become much more lax. How have you managed to adapt with the time and stay business when so many other retailers have shut down? A living business plan is key, I’ve found that my initial plan just wouldn’t work today. Trends and competition change, so it’s important to keep sharp and always adjusting. My wife works a full time office job and I do a few side jobs when I can, to make ends meet. Also, I had help. I’ll be the first to admit that I didn’t make it here on my own, and that there are many unnamed and unmentioned heroes that held me up when I was at my lowest. I appreciate that. How has Big Wheel Blading and Tri-skates changed the landscape of your store and skating in general? It’s been a big eye opener for me, at the beginning of the shop’s life I wasn’t interested in carrying 4×80 inline skates but the Tri-skates and 4×90+ have really reshapes the image of skating. The glide on Tri-skates is unmatched and is the closest thing to riding on clouds. They are pretty incredible and coming from a mostly aggressive background, it’s infrequent to be excited about just skating but Tri-skates are something else. Also for the beginners, cracks and debris are way less of a concern. I could talk about it all day! Have you noticed any significant change in the numbers of people participating in recreational skating vs. aggressive skating in the US in the past decade? I think it’s starting to really balance out. I see as many fitness skaters on the trails as I do at the park but I see the aggressive guys more often. Fitness cats are wheels and bearing purchases every once in awhile, aggressive skaters are just harder on equipment. How important was picking your location to the success of the business? Location was pretty big, I was first right off the highway and it was really convenient for travelers. I wanted people to come often, so I wanted it to be easy for them. If I could start over again I would get a sick spot downtown, but it’s just expensive now that Raleigh has grown. Does your shop offer skate lessons? I offer lessons but for insurance costs and registration purposes I chose to offer them personally and not through the shop. It’s not something I can do often, with my son being so young and me being the primary caretaker, but I’d like to do more. You did your SkateIA certification in NYC with Trish Alexander. How was that? Did you learn anything? Yes, SkateIA was great! Cameron Card and I coordinated our trip and I’ll say that it was pretty amazing as I’ve always been a fan of his. I got to see a lot of the city, I didn’t learn a lot of techniques as the skating is pretty basic, but more importantly I learned how to EFFECTIVELY and SAFELY teach Inline skating. Do you recommend that people should get Skate IA certified? If so why? 100 percent, level 1 would be great and by being SkateIA certified you have the opportunity to be covered by their insurance (huge benefit). I certainly plan to continue getting more certifications and hope that one day I can teach and certify skate instructors. Oak City covers all of your skating needs. What can people do in their hometowns to promote inline skating? Be engaging; positive comments should always be followed up by an invitation. I always try to thank people for the recognition and encourage them to try. Fewer headphones, I understand that a lot of people get in the zone with music but you miss a lot of opportunities to engage and converse with others. Poach scooters and skate boarders, a lot of those individuals will pick up a pair of skates and have almost all the abilities need to skate a park effectively. The skills and concepts transfer over pretty well and I would always encourage any of them that even show the smallest inclination towards inline skating. Do you do most of your sales online or in store? It’s about even, the in store sales aren’t as frequent but are usually higher ticket items like skates. Online sales are mostly smaller goods. What other countries to you sell to? It’s really hard to sell outside of North America, in almost every other part of the world Inline skating is popular, so stores are abundant and they don’t have the same struggles I have. I do ship to our neighbors to the north and south but it’s rare that I’ll mail anything to Europe or Asia. There are already a handful of bigger shops on both continents and with shipping costs it’s just a game that can’t be won. What do you think would help skating in general be more successful? It’s hard to say, but I think the most positive thing we can do is just continue to have as much fun as possible on Inline skates and encourage the youth. Would you ever consider carrying speed skating products? I have a few items now, mostly RB and Powerslide. It’s always been something I had one or two pair of but I just recently started carrying a few more models on a regular basis. What sets your store apart from others? I try to have the best understanding of all the products available and offer modification services. I also try and carry items that the bigger retailers don’t want to carry such as Borklyn Zoo, Blade Club, Muzzle etc. Helping Jon Julio with the first Them shipment was pretty sick, being there was a height in my career and it’s something I think about to raise my spirits when I’m blue. I also just recently got done working with Cameron Card on “What Year Is It?” We were able to get almost 300 skaters in attendance at Woodward East in Pennsylvania. That was something else, so many peoples’ dreams were made reality that weekend and that was truly special. That event looked like a blast, I’m very sad I wasn’t able to make it this year. Will you guys be putting one together next year? Yes, it will take place on September 20th, 2019. The dates are already set, we are just working on the rates. We would love to have you there! Plus we do a 10k every morning. Are there any skating Vlogs you follow on YouTube? Ah, that’s one thing I fall short on right now, I tune into Back to Blading or Jump Street Podcast. Besides that I maybe watch a few speed and freeskate technique videos, but nothing habitual. Does Oak City sponsor a team? Yes, we sponsor Philip Moore! We have been homies since the year I opened, our friend Lorenzo introduced us and it’s been rad friendship ever since. Jon Cooley and I have been friends since before the shop and has been my main traveling companion to comps and events, we are like-minded and share a similar work ethic. So it’s just natural that we’d work together with him and Mikey Holmes on Apex. And, Montre Livingston, who I’ve known since we were teenagers. He’s a great guy to work with. I have other guys that I give products to, but these guys are close to me and I see them or they check in regularly. Do you watch or keep up with any non-aggressive skating on social media? I enjoy following Danny Aldridge (@dannyaldridge1111). I don’t follow many, but he’s one of my favorite overall skaters. Speed not so much, but for distance skating I really like Caleb Smith (@kaleboston). He is skating 200-miles in one day, how sick is that! For slalom I usually just watch edits on YouTube. Half the enjoyment of slalom for me is how cinematic some of the edits are. There aren’t many distributors left in the United States, are there brands out there that are difficult or impossible to order? Yes, Adapt products are really sought after, but the production costs and time makes them unavailable to me. USD, Kizer and MyFit are also super tough because we have to order it all from Europe. Do you think the US could handle more skate shops, or is competition between the hand full of shops already to tight? It’s tight for sure. A little less dependence on the big online retailers would be necessary but that’s unrealistic. I know it’s harsh but in the grand scheme of things, local small businesses are the most likely entity to create skaters. Long and his child and future Oak City heir. It blows my mind how a city like NYC with 8.6 million people doesn’t have a skate shop. Do you think the lack of brick and mortar skate shops and readily available skate products in major cities is a contributing factor to the decline in skaters? 100 percent! I think today the only type of businesses that can make it in that setting, is high volume keystone profit businesses. The building rent alone in most cities would be a huge burden. Have you ever had a period where you thought you might not make it? Ha, every month I skirt by. When money is tight, I just eat less and work more. I’ll be in the hole every now and again, but If I have it my way, it’s never going to stop. What was the most successful period for you? There was a time where I was the only shop offering Valo toe cutting and was really making some radical customs. I think people really love the fact that we had such a variety of parts with available combinations and I was never shy about building exactly what someone wanted. 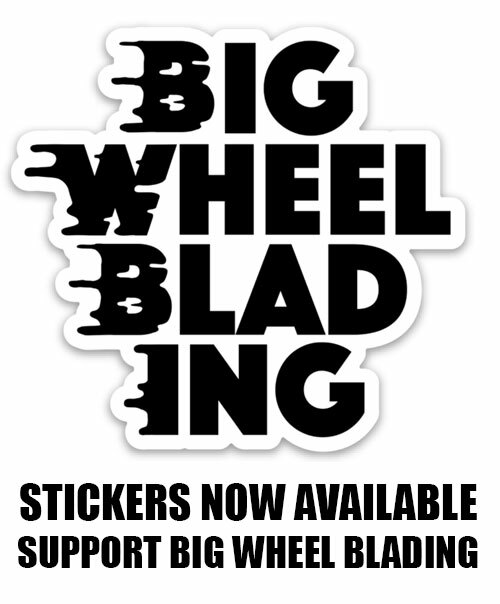 Is there a significant amount of aggressive skaters are switching over to bigger wheel frame set-ups? There’s been an increase in big wheel flat rocker for sure. The attention to detail is higher than ever and the excitement over specifications is real. I think we gradually have been moving this way for a while. I remember when 58mm Anti was the trend and 60mm wheels came out as the fast option, I was always in pursuit of a fast but grindable option. Do you think inline retailers need to sell items outside of inline skating to stay afloat? I don’t sell anything but inline skate products and I struggle from time to time. I could never be genuinely excited about those products and if I cared about money I’d go back to high-pressure sales. No disrespect to the other shops that carry other items, it’s just not me. The margins are super slim in skating and it’s no doubt businesses that carry these low margin items exclusively have tough times staying open but I’m ok with that struggle. How is the aggressive scene in the Raleigh area? It’s got tons to skate, from the shop there’s 7 skate parks within a 30-minute drive, one park being 5-minutes away. We’ve got a lot of skaters in the surrounding areas, so they drive in for a day and we usually do something that appeases the group. It’s hard to say and I think that’s the hardest part, everyone wants something different so it’s usually a game of getting a little of everything. I’d say that companies are really into direct sales more these days and that really inhibits any product from being popular in store. For example, Creates use to be super popular but since they are now direct I rarely sell them. 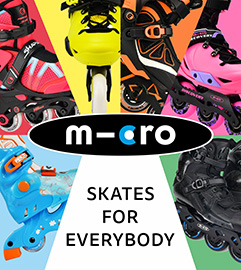 How many rec/freestyle skates do you sell compared to aggressive? I sell a lot more aggressive but 90 percent of my stock and most of my interest is in aggressive so that could be skewed. I’d like to balance that out more as time passes. Where do you see Oak City in the future? Hopefully in a radical downtown storefront, with a partnered skate park next door. I think when business work off each other the success could be limitless. What are you current personal setups? I’m currently skating on a pair of Rollerblade Metroblade 4x80mm for urban skating and on the Them Darst Skates with 50/50s and Apex wheels. I’m hoping to get some Powerslide Trinity Mount 3×125 Swells soon. Black and white Cover Photo by Kazu Mori. All other photos by Dylan Kingslover. Visit oakcityskate.com to browse their selection. To keep up to date with everything happening at Oak City, follow them on Facebook and Instagram.